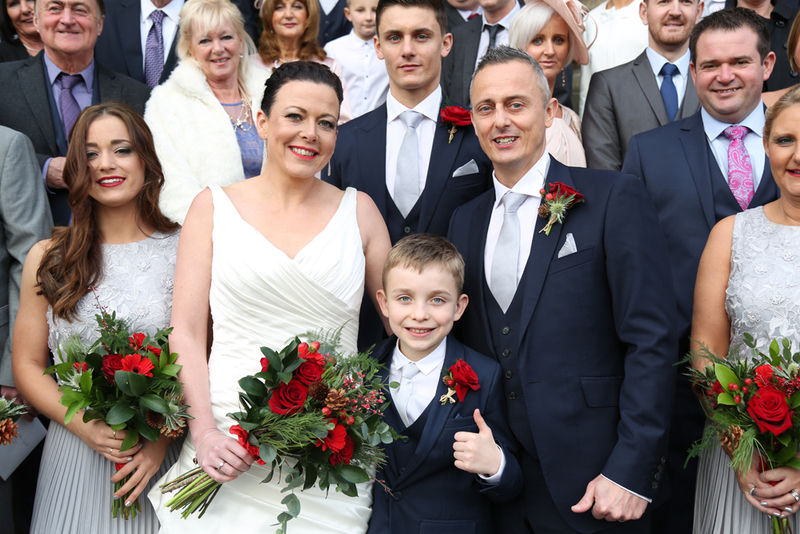 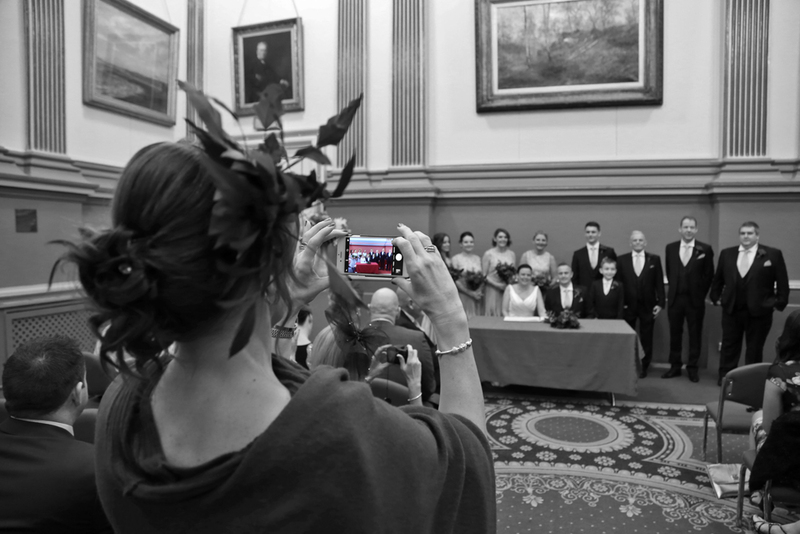 Kirsty Burton & Anthony Leyland got married on the 30th December 2016 at Leeds Town Hall with reception at The Leeds Club. 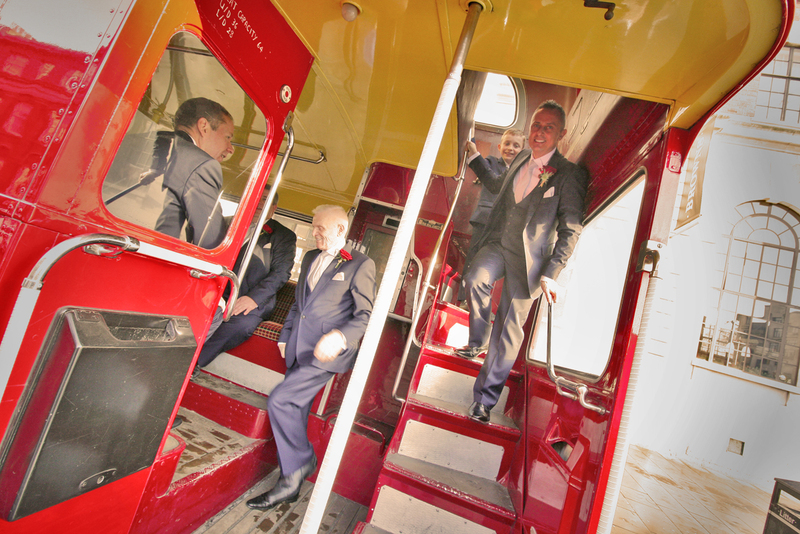 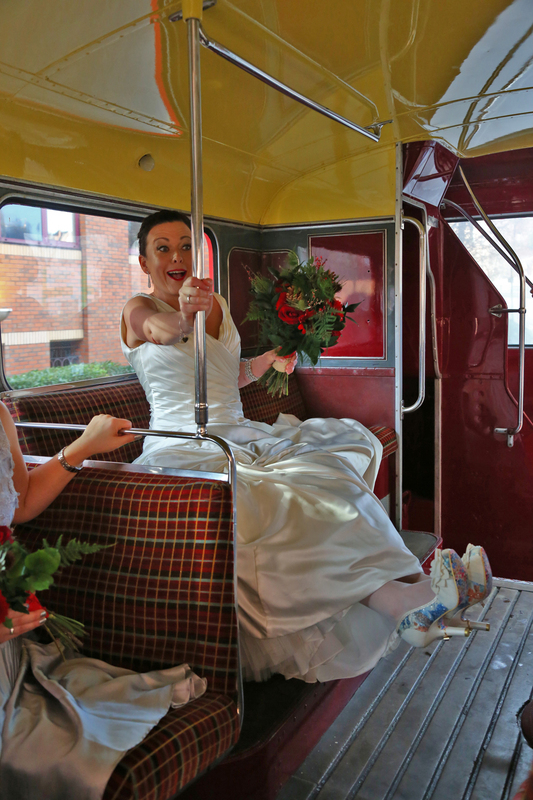 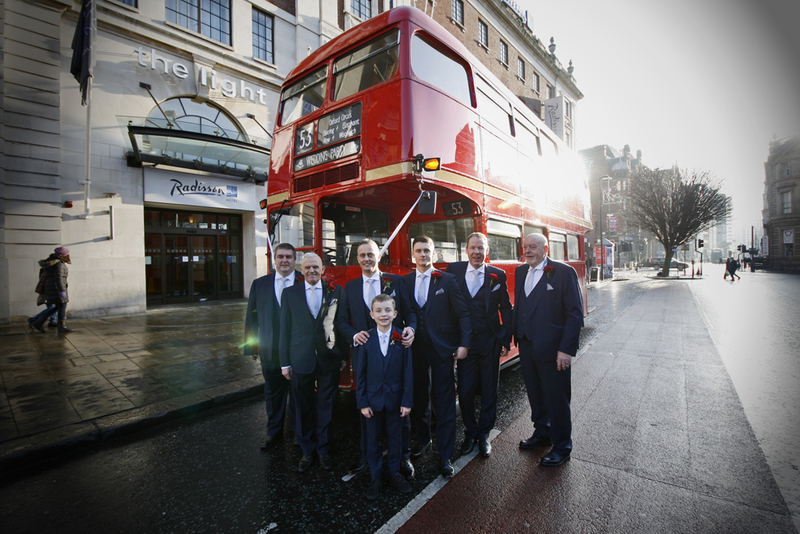 They hired a red London bus which took the bride from the Radisson Blue Hotel to Leeds Town Hall for the ceremony. 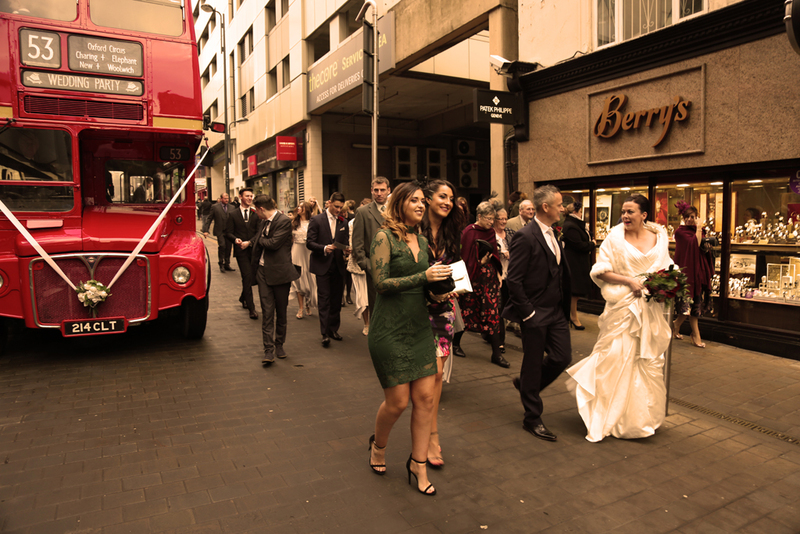 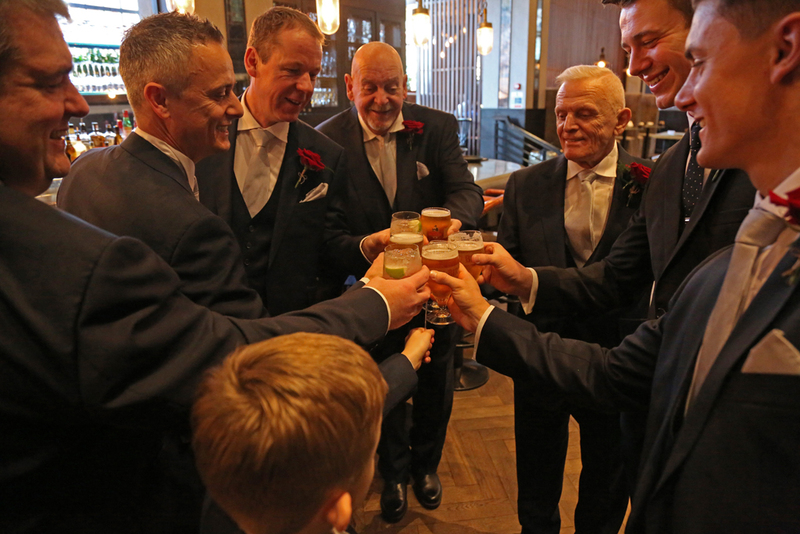 The guests were later transported from the town hall to The Leeds Club in the city centre for speeches, a wedding breakfast, and disco until the early hours. 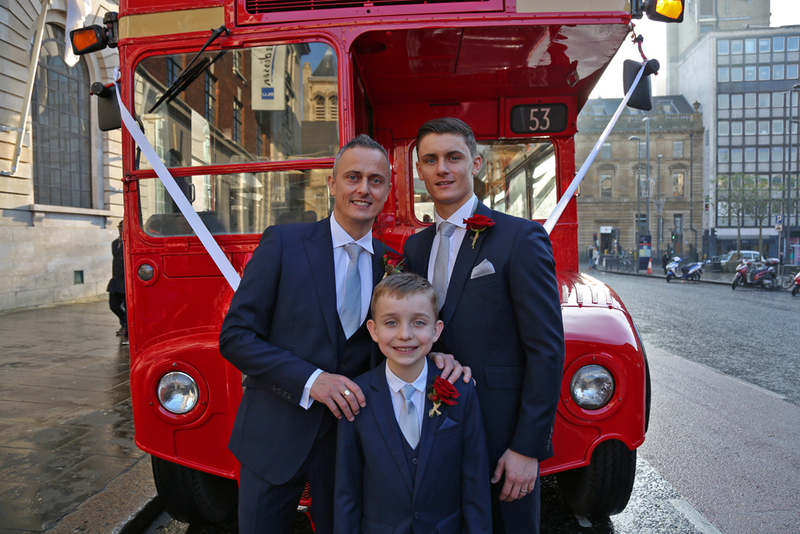 The groom picked the bus because his surname is Leyland, like the bus manufacturer. 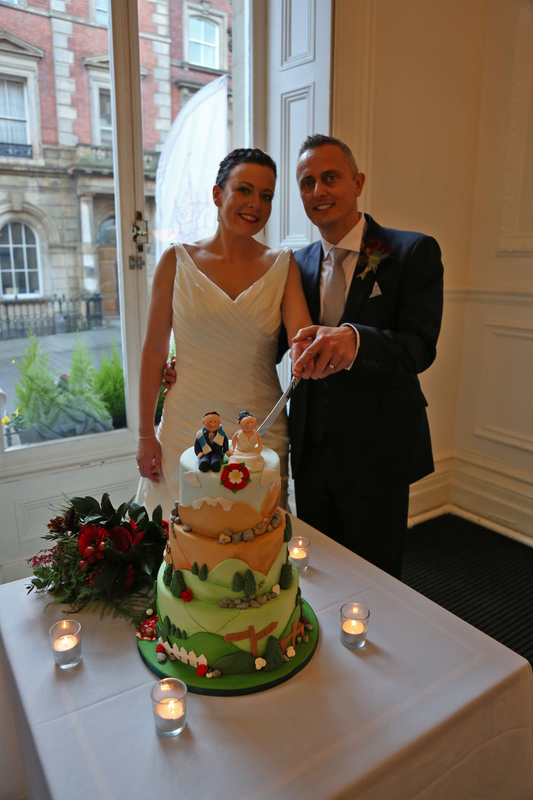 The cake was a yorkshire/lancashire mix because the bride is from yorkshire (rothwell) and the groom from Wigan- hence he is wearing a wigan athletic scarf on the cake. 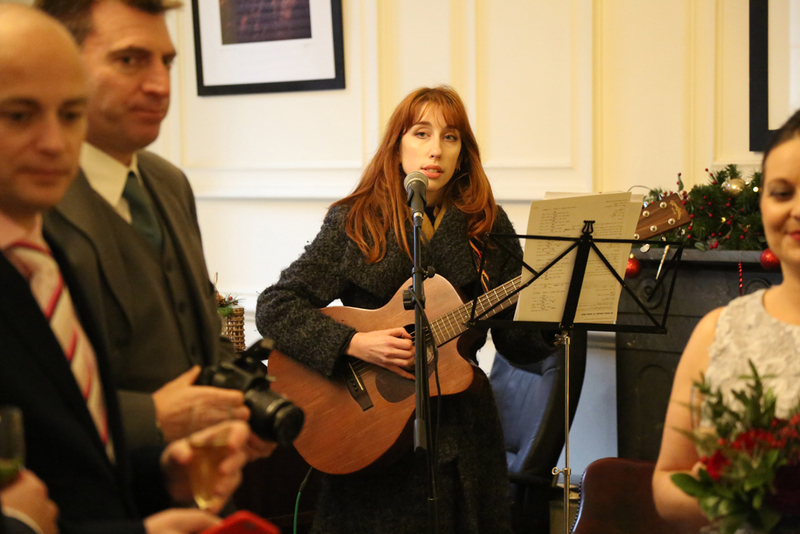 The singer was busking in Leeds when the groom approached her for the wedding gig.They loved the sound of her voice when they were doing their shopping and approached her as a result. 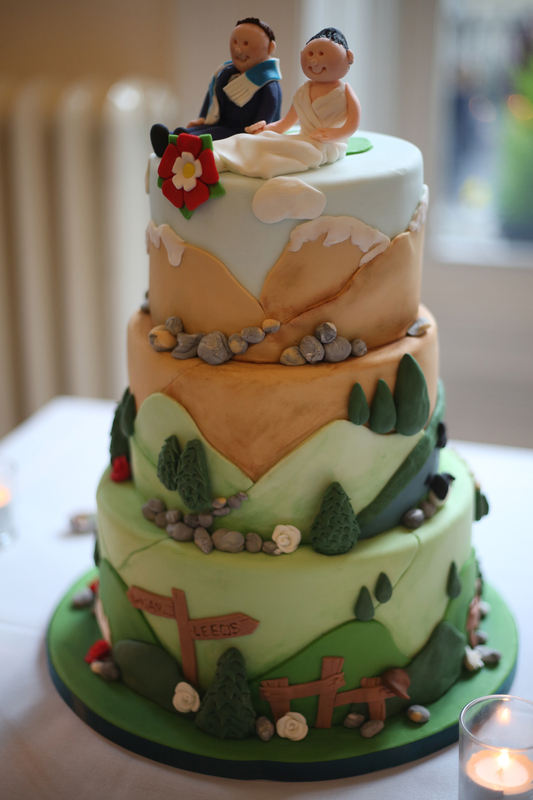 Flowers were by Dulcie who also has tea rooms and officially supplied the Tour de Yorkshire with her flowers. 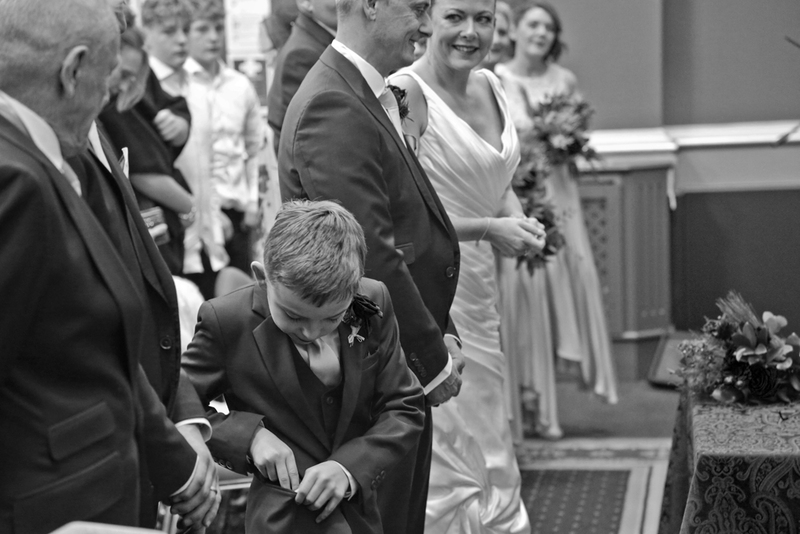 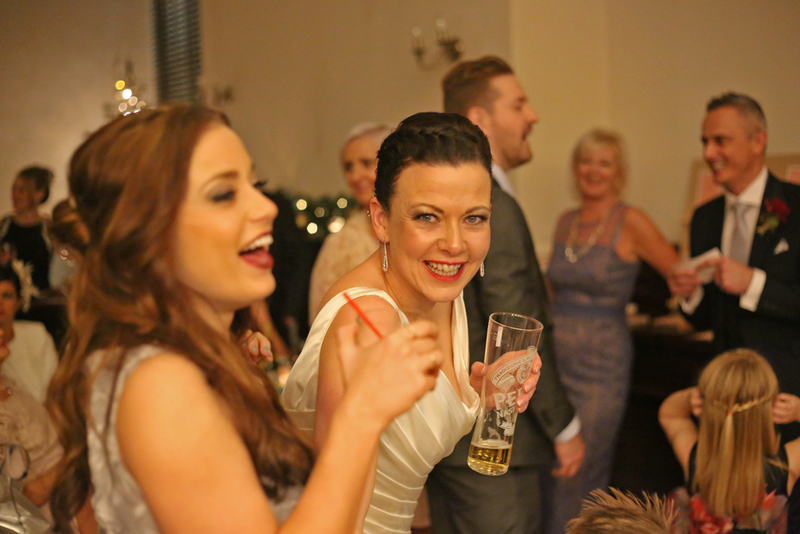 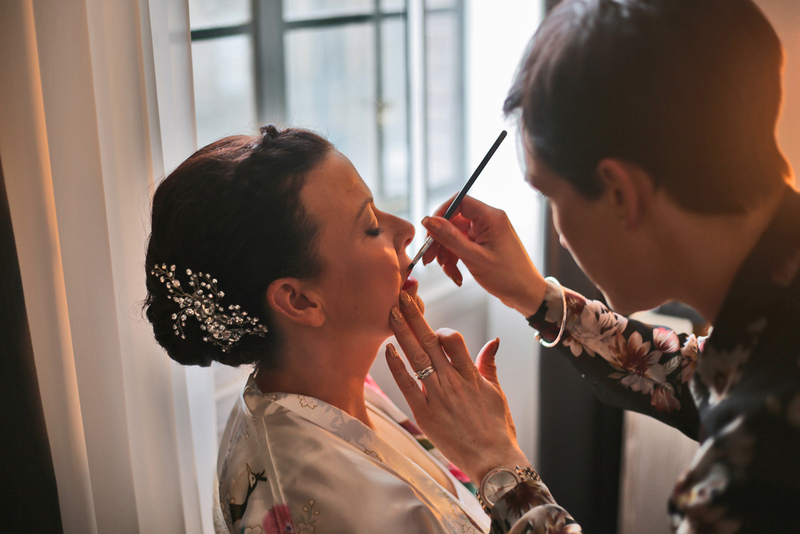 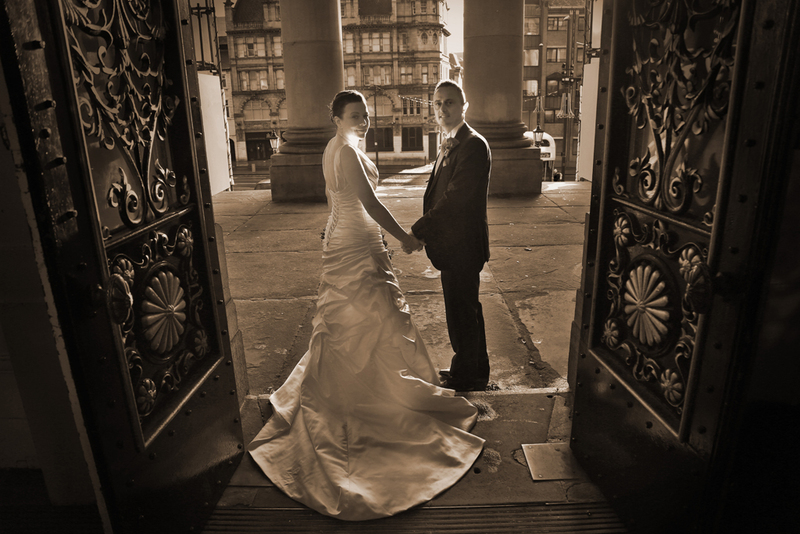 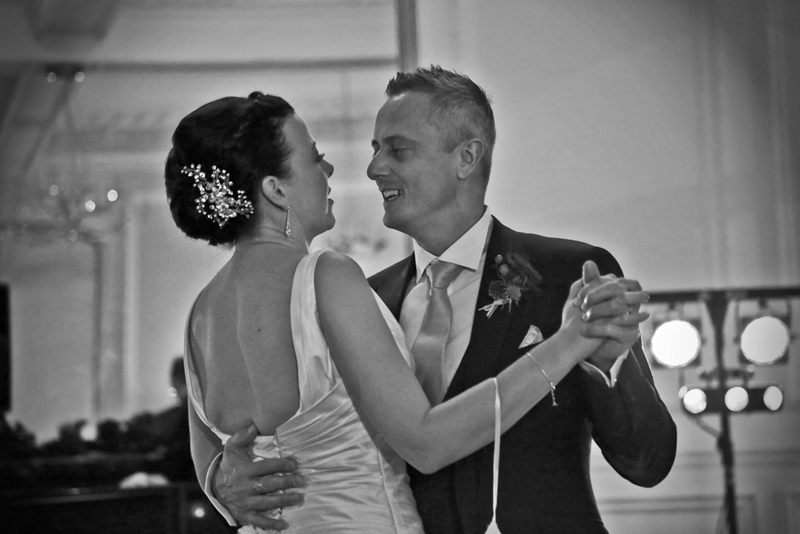 Matt Ward is a wedding photographer based in Leeds. 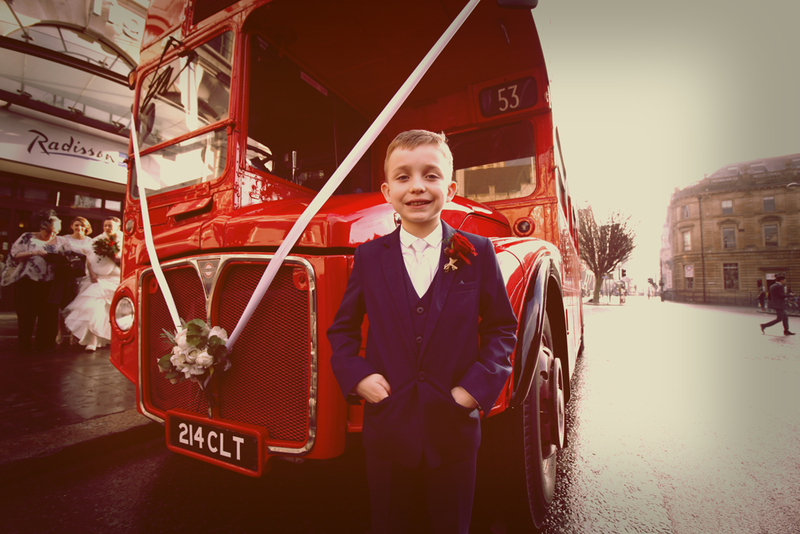 You can see more of Matt’s work on his website. 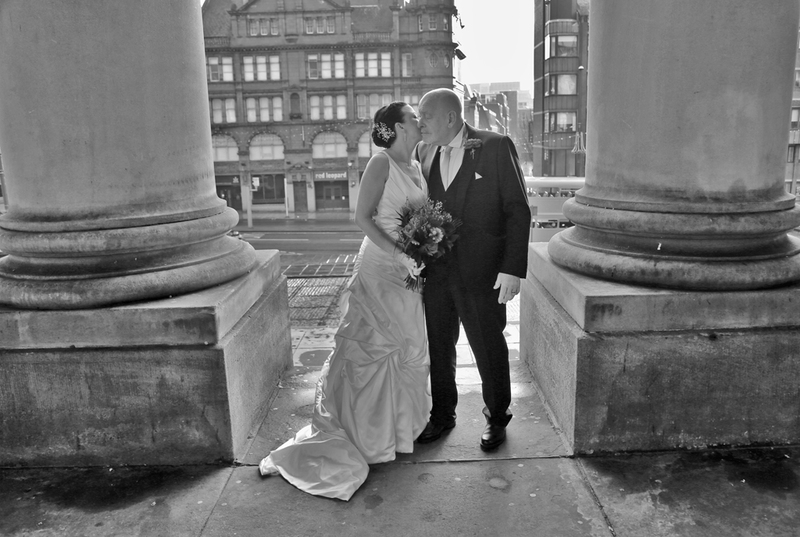 Brides dress: Abbey Wedding Warehouse by Alfred Sung. 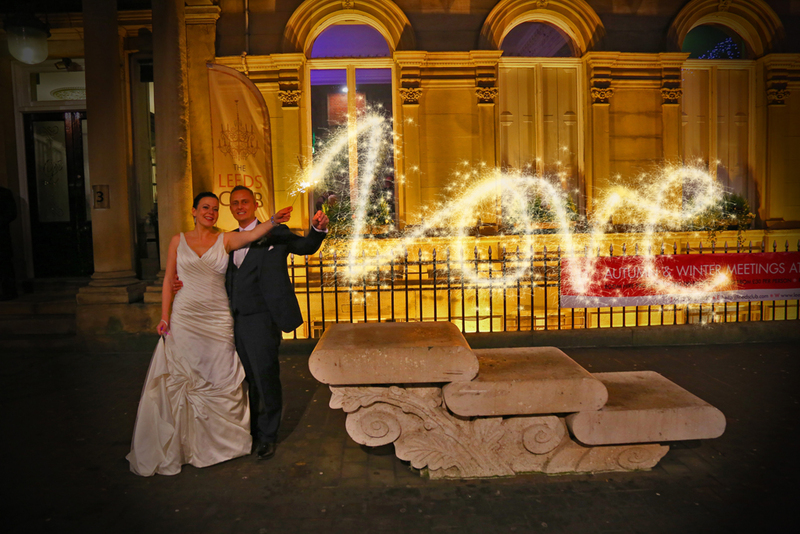 What an amazing wedding everyone looked artistic.